Albany, Fremantle and Perth: The three oldest cities in Western Australia. They were not necessarily the first to be proclaimed cities (but Perth was), they were not even necessarily the most economically and socially significant settlements in Western Australia at various times during the colonial era and afterwards (but Perth still is)— but they were the first to be inhabited by British colonists in their respective locations— and they had one other essential characteristic that bound them within a most holy trinity: At various times the inhabitants of all three violently detested the inhabitants of at least one of the other two and would do all within their powers to thwart the ambitions of any who had the temerity not to be them. Albany, on the shores of King George Sound on the far south coast was the oldest British settlement in Western Australia and had a superb natural harbour. Firstly named Frederick-town, It predated the collection of shacks on the banks of the Swan River by at least three years, and for these two reasons alone, incurred the undying hatred of the citizens of Fremantle and Perth. Fremantle was the second settlement to be founded. A rocky headland surrounded by bleached white sand adjacent to the mouth of the Swan River and an absolutely useless port due to the stony bar that blocked the mouth of the river. The adjacent coast was fortressed by hidden rocks and reefs, and exposed to the gales and cyclones that could sweep in from the Indian Ocean, summer or winter. Fremantle was the initial capital of James Stirling’s Swan River Colony, so significant money was spent by the government to build a courthouse for a town, and by various grandees to erect fine stone houses on Cantonment street, so as to be near the seat of power in the land. Then Stirling decided on Perth as the site for his capital, and the resources expended on the Fremantle Court building (now long demolished) meant that the public building in Perth would have to be a timber shack for many years to come, and the abandoned shells of the well-heeled’s mansions would grace the tiny town of Fremantle for many decades afterwards. 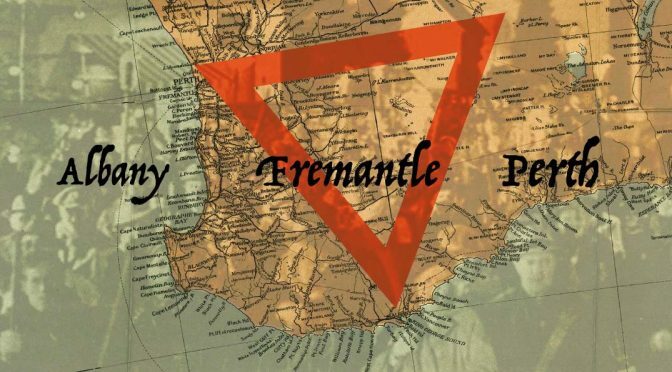 Thus the Fremantle — Perth rivalry was born. and for a brief horrific moment when Governor Stirling returned from his sojourn back to Britain to schmoose some more money for his struggling settlement, it seemed he might be about to transfer the capital to Albany. 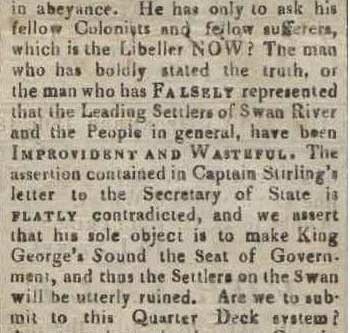 However there was deep resentment within the opposing settlements that Stirling chose to open up a landward road between his chosen capital and Albany before any such road between Perth and Fremantle. Being on opposite sides of a wide river that was inaccessible to large ships due to that stone bar across the river mouth, in the absence of a road (even the bad one that was eventually formed) or a single bridge between Perth and Fremantle, those with small boats made a killing with their monopoly on transport. It was more expensive at times to ship something from Fremantle to Perth then it was from Britain to Western Australia. This was another reason Perthites could detest the men of Fremantle. Perth was the first settlement to be declared a city in the Colony of Western Australia. This occurred at a rather arbitrary point in history in the year 1856. It was decided they the powers-that-be that Western Australians should no longer groan under the yoke of a Church of England Bishop from the Eastern Colonies, so Perth would be made a bishopric. 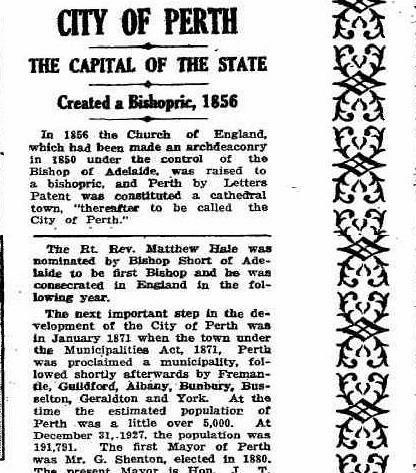 Only a city could be made a bishopric, so Queen Victoria, defender of the faith &c &c. proclaimed that Perth was now a cathedral city on 23 September 1856. For the previous six years Western Australia had been under the religious administration of the Bishop of Adelaide. It must have rankled those who took such matters seriously that the Colony of South Australia had been founded many years after that of Western Australia and was now out-performing them by nearly every metric. South Australian grain needed to be shipped to the west to feed the older colony. Vested farming interests in the Avon valley lobbied for tariffs on grain imports. You might think Western Australians hated their immediate neighbours less than those from rival colonies, but you would be wrong. Perth’s population in 1856 was under 5000. Fremantle was not declared a city until 1929 when it’s population was 27,000. 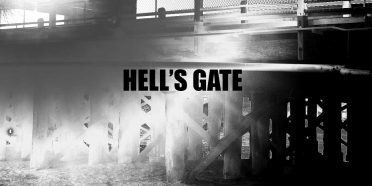 Albany was not officially gazetted a city until 1997. It’s population would have then been over 30,000. For better or for worse, administrative power was centralised in the hands of the Perthites and there was nothing the merchants of Fremantle or the burghers of Albany could do about it— although there was a time when Albany almost became the capital city of it’s very own state. And that is the main point of this article: Albany, Fremantle, Perth—for over a century-and-three-quarters their respective leaderships have been badmouthing each other for political gain. As for their people, they mostly knew they came from somewhere else anyway.